Trump’s tweet was his latest effort to press the government’s chief law enforcement agency to react to his personal and political views. Investigators are not supposed to take into account the political affiliations of the people they investigate, and the department has a history of prosecuting lawmakers of both major political parties no matter which controls the White House. “No president of the United States, Republican or Democrat, has ever, ever crossed the line and told people, ‘Don’t prosecute Republicans. Only prosecute Democrats,'” Leahy said. AshLee Strong, a spokeswoman for House Speaker Paul Ryan, R-Wis., said the Justice Department “should always remain apolitical, and the speaker has demonstrated he takes these charges seriously.” Ryan has removed Collins and Hunter from their committee assignments. Trump’s tweet drew a scolding Monday from Sen. Ben Sasse, a Nebraska Republican who sits on the Senate Judiciary Committee. “The United States is not some banana republic with a two-tiered system of justice — one for the majority party and one for the minority party,” Sasse said in a statement. 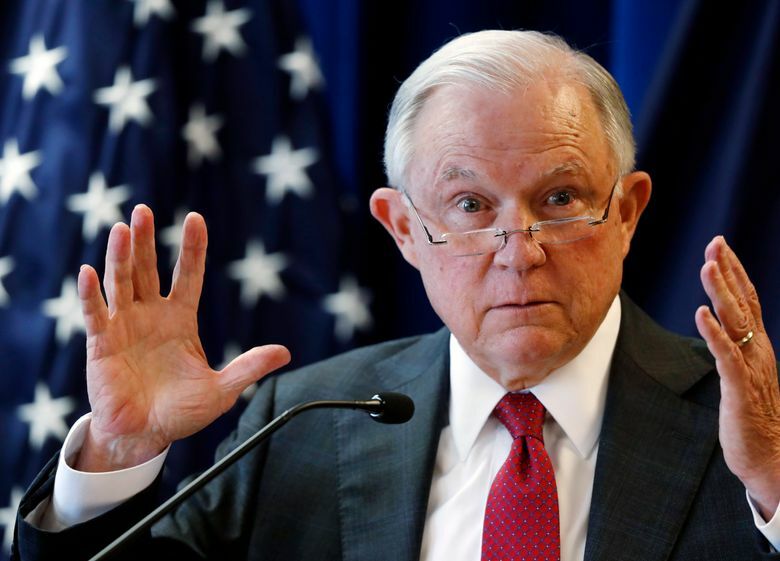 Trump has previously pressed Sessions to investigate his perceived enemies and has accused Sessions of failing to take control of the Justice Department. 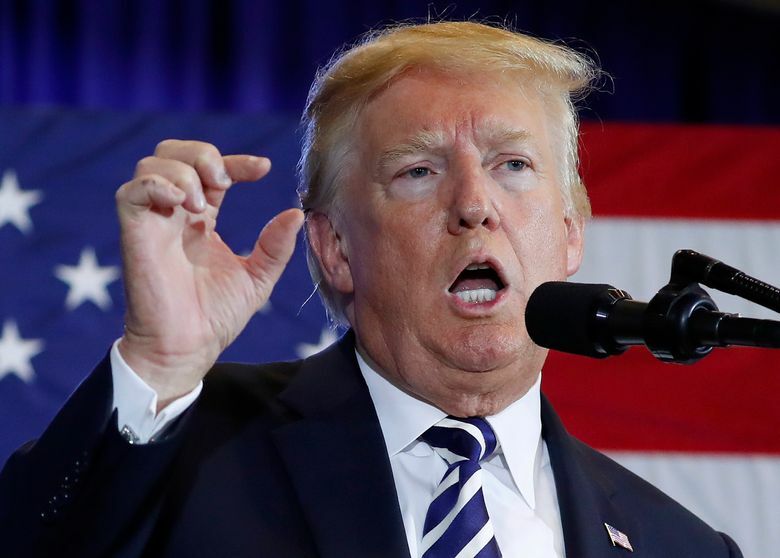 Trump also has repeatedly complained publicly and privately over Sessions’ decision to recuse himself from the federal investigation into possible collusion between the Trump campaign and Russia because he’d worked on Trump’s campaign.